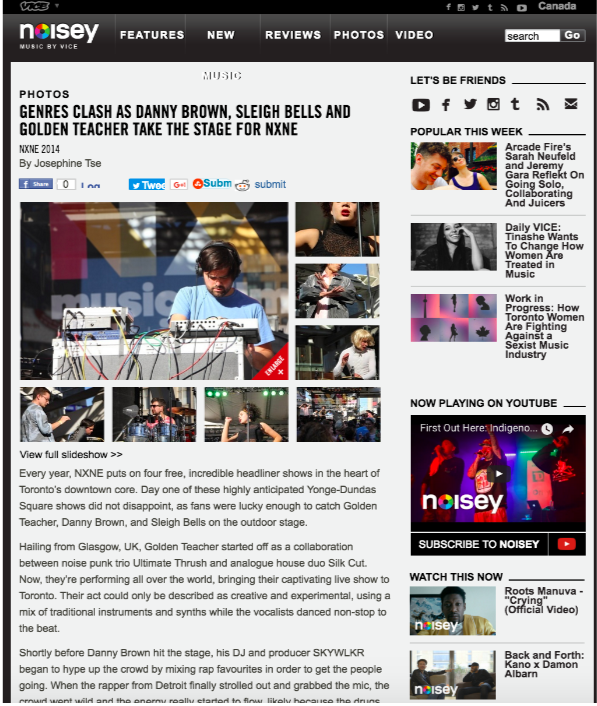 I got the opportunity to cover NXNE for Noisey Canada. I had the chance to see LIZZO perform on a streetcar, open a pit with Pissed Jeans and cover all the outdoor shows at Yonge Dundas Square. This year, Danny Brown, Sleigh Bells, Golden Teacher, Swans and St. Vincent were all present and took the stage for NXNE 2014. All photos are on Flickr.